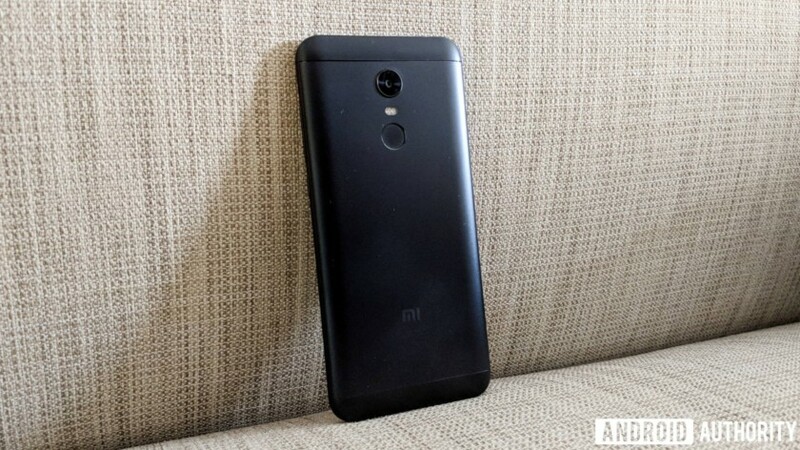 The Redmi Note 5 is not a significant upgrade to the Redmi Note 4 yet is a well-rounded package that is absolutely recommended for anyone looking for a budget smartphone. It performs great and is a compelling value-for-money proposition. Much of that success in India was piggybacking on Redmi Note 4, the bestselling smartphone in the country last year with 9 million units sold. Now, it is time for the successor of that dependable budget smartphone, that became a benchmark in its segment. Also read: Xiaomi Redmi Note 5 Pro review – Crazy value! With Redmi Note 5, the Chinese OEM aims to continue that momentum at the top. It’s a progressive update to the Redmi Note 4 and Xiaomi chooses to go with ‘if it ain’t broke, don’t fix it’ approach. The affordable smartphone market in India is very crowded, and Xiaomi has carved out a comfortable space for itself, and played it safe here. Will the Redmi Note 5 help Xiaomi continue its dream run, or is there little to impress in this iteration? Let’s find out in our detailed review! For this review, I took the Indian variant of the Redmi Note 5 for a spin… the one with 4 GB of RAM and 64 GB of internal storage. At first glance, the Redmi Note 5 looks identical to the Redmi Note 4. That is, if you’re looking at the rear. It’s the same chassis with antenna lines running across the top and bottom which break up the design while improving signal reception. But up front, the difference is immediately apparent. The taller display takes much of the front with minimum bezels on the top and bottom and thin edges on the sides. There’s a 2.5D curved-edge glass up front with tapered edges on the side for better ergonomics. The device fits just fine in the palm and one-handed usage isn’t much of an issue. At 8.05 mm, the Redmi Note 5 is .45mm slimmer than its predecessor, but at 180 grams, it’s some 15g heavier. The additional heft though is distributed quite well, so you really don’t feel any discomfort using it for an extended time. That said, it feels sturdy and the build quality is solid. For some, the design of Redmi Note 5 will be boring. There’s nothing new or revolutionary, of course, but the whole is greater than the sum of its parts, and Xiaomi chooses to not deviate from its trademark design instead of attempting something new or outlandish. There’s a new color variant – Lake Blue – apart from the usual Black, Gold, and Rose Gold. One of the key highlights of the Redmi Note 5 is its display. Xiaomi adopts the latest trend of displays with 18:9 aspect ratio – a trend that went mainstream in 2017 and trickled down to the budget segment as well. The Redmi Note 5 sports a 5.99-inch Full HD+ IPS display – the 2160 x 1080 resolution translating to a pixel density of 403ppi. According to the company, compared to a traditional 5.5-inch smartphone, Redmi Note 5 ﬁts the same in your hand, while offering 12.5% more display area. The display is bright, and the colors are quite vivid with deep contrasts. The text and images are sharp and the color accuracy is first-rate. The display is a tad reflective, although the viewing angles are great. Overall, it’s an excellent display for a budget smartphone. The Redmi Note 5 packs in the same internals as the Redmi Note 4. The choice of the dated octa-core Qualcomm Snapdragon 625 chipset may irk a lot of power users who judge their smartphones based on specifications sheet, but in the real-world usage, the smartphone doesn’t disappoint. It comes in two RAM configurations – 3 GB and 4 GB – with 32 GB or 64 GB of internal storage. For a mid-range SoC, Snapdragon 625 offers a great balance between performance and energy efficiency. It might not be a powerhouse as the 636 is (which powers the Redmi Note 5 Pro), but chugs along nicely through everyday tasks. The Redmi Note 5 was able to handle almost everything I threw at it. There was no lag switching between apps and while multi-tabbed browsing – granted I was on the top end variant with 4GB of RAM. A slight performance degradation is expected with the 3 GB variant, but nothing that could be a showstopper. Multi-tasking on the Redmi Note 5 is a breeze, and it can handle graphic-intensive games without breaking a sweat. Essentially, it can handle everything with aplomb and essentially justifies Xiaomi’s decision to stick with the older processor and keeping the price in check. The Redmi Note 5 packs in a 4000 mAh non-removable battery. This is 100 mAh less than the Redmi Note 4, but the newest variant lasts longer. The large capacity combined with software optimizations on MIUI and the power efficiency of Snapdragon 625 makes it a battery powerhouse. I was able to squeeze in two days of battery life – over a day in case of heavy usage – and it lasted over 14 hours in my continuous video playback test. But it hurts that there is no support for quick charging – even more important in smartphones with large battery capacity. It takes over two and a half hours to charge the phone from zero to 100% using the supplied charger. It may be worth buying a faster charger if this is important to you. The Redmi Note 5 features a hybrid SIM tray, so you can either use two SIMs or one Nano-SIM and one microSD card. You might want to keep this in consideration when making a choice between the 32 GB and 64 GB variant if you want to use two SIM cards. It’s disappointing to find a microUSB port in a smartphone released in 2018. I would’ve liked a Type-C port instead, although a lot of people wouldn’t have an issue with it. Also, just like its predecessor, the Redmi Note 5 too gives NFC connectivity a miss. The Redmi Note 3 disappointed in the camera department and Xiaomi focused on improving the camera with the Redmi Note 4, but barely climbed a few steps. With Redmi Note 5, it’s an evolutionary upgrade again – something one expects from one generation to another. This time around, Redmi Note 5 has a 12-megapixel camera with a larger pixel size of 1.25um pixels and f/2.2 aperture. In well-lit conditions, it manages to take some great landscape shots. When shooting close-ups of objects or macro shots too, the color reproduction is quite good and there are plenty of details. Sharpness is a mixed bag though. The camera focuses quickly, which is also great for taking some fine shots of moving subjects. It’s low-light conditions where the camera struggles, as is often the case with mid-range and budget smartphones. There are some improvements from the last time, but in most cases, quite some noise creeps in with a significant loss of detail and sharpness. The larger pixel size helps in capturing more light but due to lack of electronic stabilization, several shots ended up being blurry. The 5MP front camera sports a f/2.0 lens and most selfies in well-lit conditions come out good enough for those social shares. Indoors or in low-light though, it’s a hit-or-miss, again like most smartphones in this price segment. In terms of video recording, the rear camera can record videos at 1080p resolution and the quality is good enough. The video recording on the front camera has also been upgraded to 1080p but there’s nothing special there. The Redmi Note 5 runs the latest iteration of the company’s proprietary UI layer, MIUI 9. But MIUI 9 is based on Android 7.1.2 Nougat, and it is disappointing to have a smartphone launch in 2018 with neither Android Oreo out of the box nor a definite timeline for the upgrade. That said, MIUI is one of the popular Android customizations, and although it’s a tad bloated, it packs in a lot of features and has its share of fans. With MIUI 9, the Android skin has gone better – especially in terms of performance and app-startup times. With the internals it packs, Redmi Note 5 just breezes through with MIUI 9. The Redmi Note 4 has a few preloaded apps – Amazon Shopping, WPS Office, and Hungama. While these can be uninstalled, there’s also Xiaomi’s own Music, Gallery, and Browser apps and similar apps from Google. The overall software experience on the Redmi Note 5 is great, and there are a bunch of useful features that you’d only appreciate once you start using it. But Android Nougat, mind you. After the massive success of Redmi Note 4, the Redmi Note 5 had tough shoes to fill. And it looks like Xiaomi played safe to sustain the momentum. The real upgrade to the last year’s device is Redmi Note 5 Pro, but Redmi Note 5 is a nice progression from the predecessor that presents itself as a fantastic value-for-money device. It’s an evolutionary device, not a revolutionary one. The Redmi Note 5 is an evolutionary device, not a revolutionary one. In India, the base model comes with 3 GB of RAM and 32 GB storage and retails for ₹9,999 ($156) which should a be a fine choice for a lot of casual users, however, if you don’t mind spending more and want the power, you can pick up the top variant with 4 GB of RAM and 64 GB storage for ₹11,999 ($187).